June 9th, 2013, Haaretz- News that Israel Police arrested suspects in the 2009 Bar Noar youth club attack left me with a bittersweet taste in my mouth. While the announcement of arrests was welcome, it got me searching for statistics on the upward battles of gay, lesbian, bisexual and transgender youth in their homes, schools and communities. • Roughly 30% of all LGBT youth suffer violence at the hand of a family member. In America, we are fond of taking a calendar month and assigning it a sort of theme to make a public statement about our values and priorities. The best-known example is by most accounts February or Black History Month. The idea behind this effort is to highlight some previously unknown or lesser known idea, fact or challenge facing our country and spend a month focusing on it as a nation. This impacts educational programming and governmental initiatives in the public school system and other venues, but also finds its way into mainstream media and online. The practice is not uncontroversial. However, the month of June has been designated as LGBT Pride Month and it should serve as strong reminder of the immense work that is needs to be done in addressing the tragic dangers facing young people who are often just beginning to explore who they are as human beings - including their sexual identity - and who need our help. This is not simply a clarion call, but a Jewish imperative. The Torah teaches: "Do not stand idly by the blood of your fellow" (Lev. 19:16). What does this mean? According to the great sage and Jewish scholar Maimonides, it is one’s proactive responsibility to help one in danger of harm. He writes, “one who can save a life but fails to do so transgresses the negative commandment ‘do not stand idly by the blood of your companion.’” The implication to his understanding is that if we know someone is at risk, someone is in harm’s way, someone faces a threat - internal or external - to their well-being, we are responsible to actively go out and work toward ensuring the person is protected, safe and out of harm’s way. 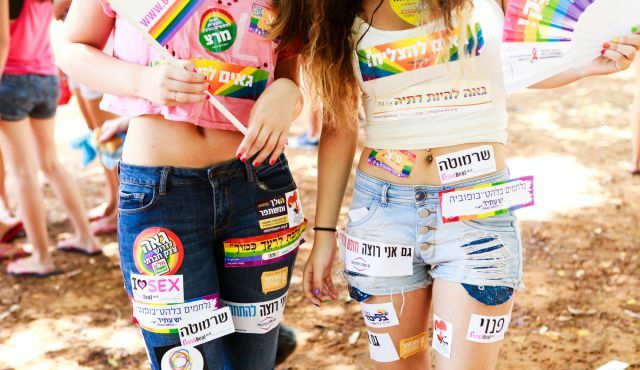 LGBT youth are fighting not only for their emotional safety and for the ability to live their lives to the fullness of their humanity, but for their very physical protection, as the attack at Bar Noar reminds us. We are all responsible for those precious lives and for each day when a teenager sits in his room and ponders suicide because he is gay, or when a young person born into the wrong body seeks help in a world of drugs and alcohol instead of having parents and communities they can trust. For each of these days the Torah’s most simple yet profound question should ring loud and clear in our ears “Eyekah?” – Where are you? Where are you as your fellow’s blood is shed?